For many crimes that require a great deal of evidence to charge a suspect, like drug crimes or violent crimes, police may be investigating the crime for some time before they make an arrest. Many people who know they are the subject of a criminal investigation may wonder if they should obtain legal counsel right away. Or, if they must wait until they are arrested. Here’s what you should know about pre-arrest representation. Typically, law enforcement will search for only enough evidence to charge the suspect with one or more crimes. In a drug trafficking case, they may only investigate up to the point where they obtain what they feel is compelling enough evidence to make drug trafficking charges stick. Only then will they make an arrest. However, in most cases, there’s much more evidence available that police don’t secure. Sometimes, this includes evidence that points to the suspect’s innocence. If you’re being investigated for a serious crime, it’s important that you also have a team on your side. This team will ensure that the police are following the law when conducting their investigation. They also can secure evidence to bolster your defense. If the investigation is shaping up and it seems like an arrest is unavoidable, working with an attorney beforehand to arrange bail often makes the process more smooth. An attorney can begin interviewing people to obtain information that will help persuade the judge to release you on bond. In some cases, a “surrender date” can be scheduled with the court so you are not arrested at your home or work. Instead, you simply surrender yourself to the jail at an agreed upon time and date. Often, suspects are arrested not based on evidence but based on information given during the police interrogation. Police will usually try to convince a suspect to talk by saying they’re not under arrest yet and that the police are trying to help. A lawyer can help protect you from questioning that could weaken your future defense. 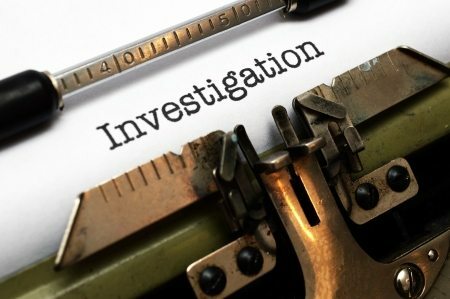 If you were notified that you’re the subject of a police investigation for any crime, don’t hesitate to reach out to a seasoned legal professional for help. Contact T. Martin Knopes, P.A. today for more information by calling (850) 683-0700 for a consultation.